This entry was posted in Clothing, Spiffy and tagged Awesome, Badass, Bare Midriff, Motorcycle, motorcycle jacket, Schoolgirl by Erik. Bookmark the permalink. Ur a huge tool with your comments. 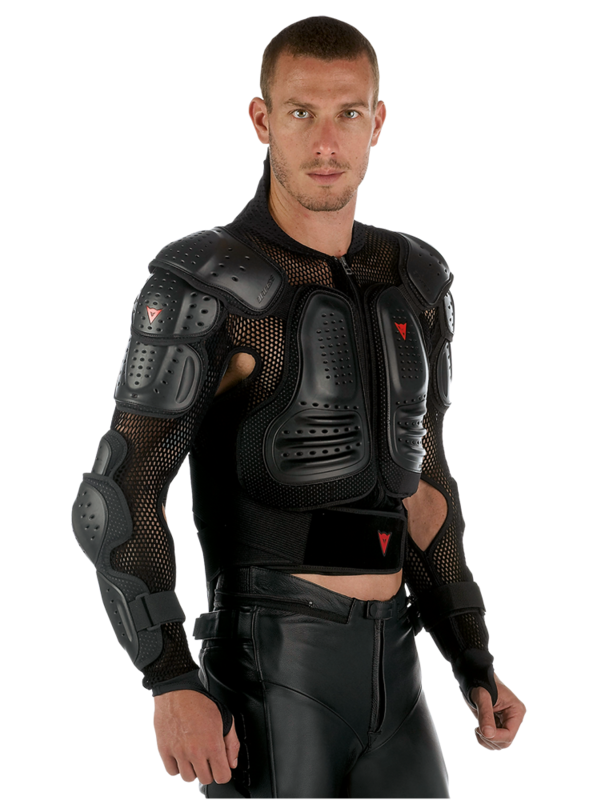 That is meant to be worn under a dirt bike jersey or under an unarmored or lightly armored leather jacket. No one in their right mind would wear that by itself as there is no abrasion resistance, only impact.